This WordPress site is the product of scraping the online tsuba collection of the Boston Museum of Fine Arts. The BMFA has a large digitized collection online which can be searched through their website. This site focuses on the tsubas in the collection. A tsuba is a hand guard for a japanese sword usually found at the end of the handle and at the beginning of the blade. It contributes to the balance of the weapon, but also prevents the hand from sliding of the handle during thrusts. In 1873 Emperor Meiji abolished the samurai as the only force in favor of a more western armed forces. Before 1873, the role of samurai changed many times its high point during the Edo Period where the ruling class in the military government known as the Tokugawa Shogunate. 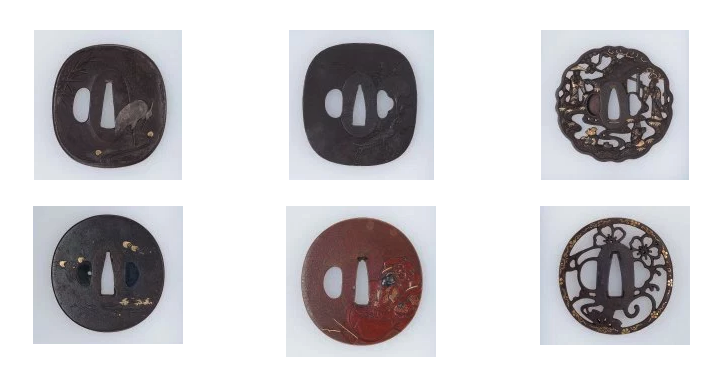 A majority of the tsubas scraped from the BMFA website were labeled as from the Edo Period, while some were earlier periods like the Momoyama period. Lucky tsubas form the Edo Period are known to be particularly decorative, and the BMFA has great photos of them. Below are links to a tableau workbook created using the data scraped from the museums website. The time periods are not corrected, they are how they appear on each items page. The large quantity of Edo Period pieces can be seen in the tableau graphs. Below is also a link to a GitHub repository that houses the python scripts used to scrape the BMFA website.